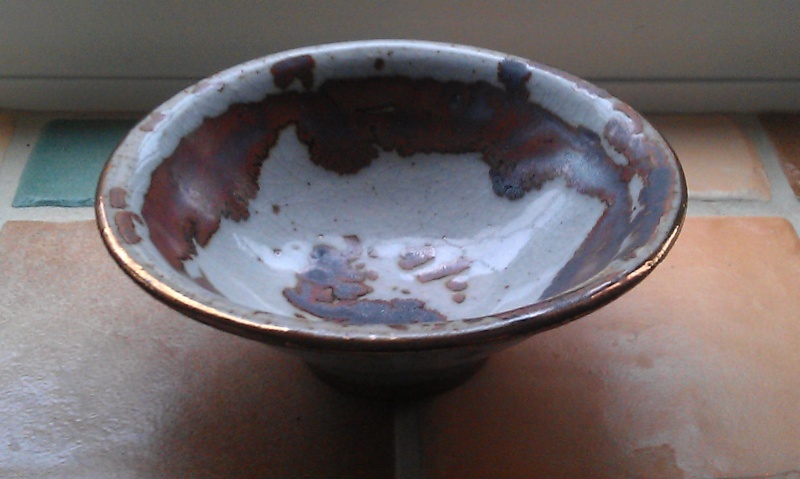 Hi, Could somebody identify this small bowl please. 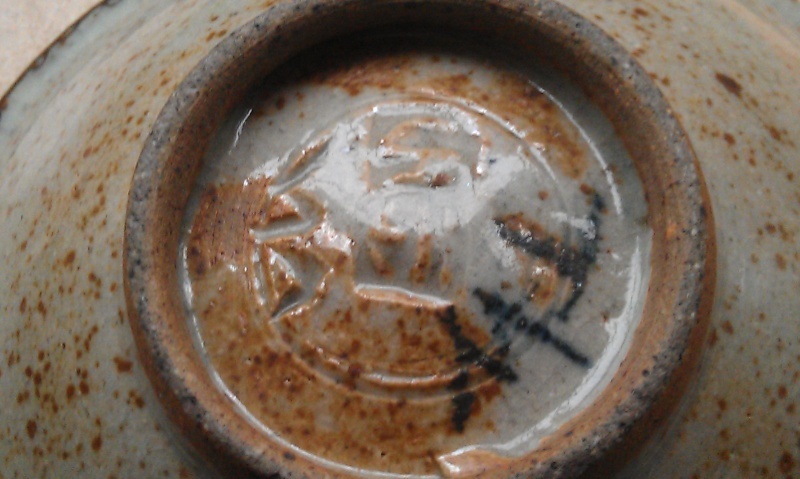 It is marked TW and has an impressed mark which looks like EH and then two other impressed marks. thanks. Len & Esther Hollman, Mount Pleasant. Dariusas wrote: Len & Esther Hollman, Mount Pleasant. A family member said it wasn’t one of theirs. 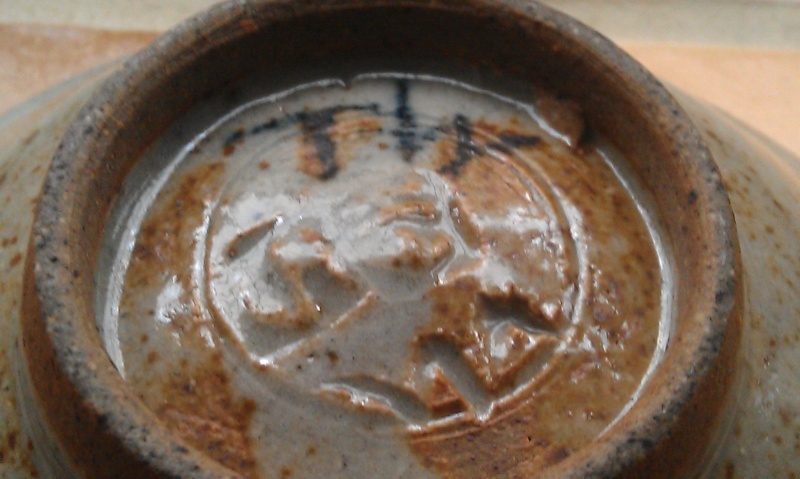 Very strange, I’ve seen very similar bowl with exactly the same marks and the sticker saying Len and Esther Hollman the pottery Mount Pleasant and it matches marks in the marks book LH and EH. 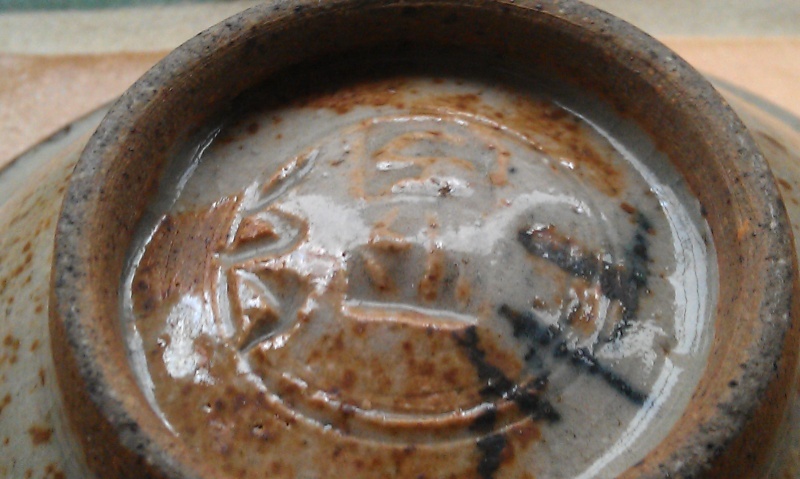 I agree, it is very like their marks in the book, and family members do get things wrong (the disputed pot was one on eBay). I’ll list it as a Hollman piece and if they are googling the name they’ll find it.